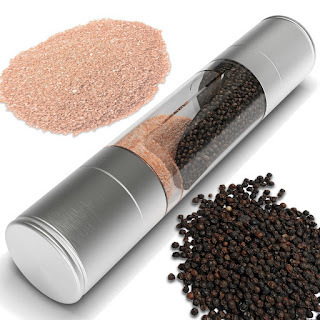 #MLVOCGrinder Last week I received 2 products I want to tell you about, 2 different salt and pepper grinders from MLVOC. The first one has a cylindrical shape and is divided inside so you can have salt in one end and pepper in the other. There is a grinder in each end and each grinder is adjustable so you have control of the flow of each independantly. MLVOC Salt and Pepper Grinder is a space saver as well as an attractive kitchen tool. 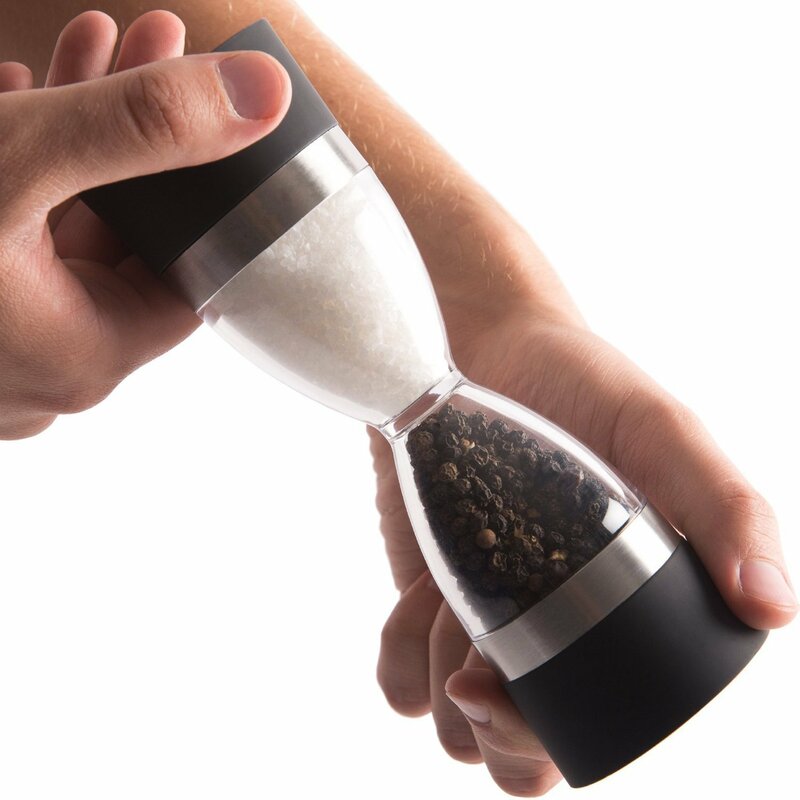 The second MLVOC Salt and Pepper Grinder I received is hourglass shaped and is adjustable on both ends as well. Also has a divider inside to keep salt in one end and pepper in the other. I like that I can have both spices in one grinder. I love space saving tools in my kitchen. I received these products for free in exchange for an honest unbiased review.